Advances in dental technology have dramatically changed the way cosmetic dentistry is applied, as a result, Dr. Atkins is able to enhance the esthetics of your smile in less invasive ways that increase the likelihood of long-term success. Whether it is something as simple as bleaching or is more involved (porcelain veneers, contouring and reshaping, etc..), Dr. Atkins will discuss a variety of options to help brighten your smile. Dr. Atkins utilizes KöR Whitening and Invisalign to lighten and help straighten teeth. Many times, this allows for the least amount of tooth structure to be sacrificed while improving the esthetics of your smile. Achieve your perfect smile in no time! 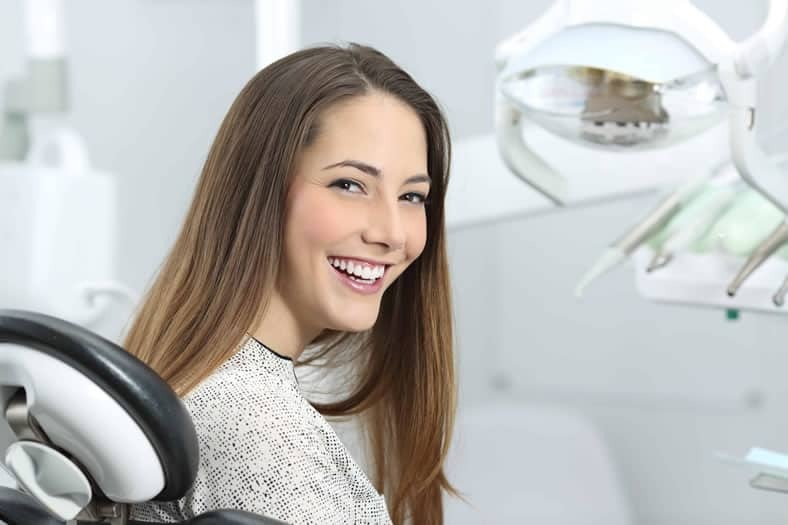 Our patients can take advantage of our full range of cosmetic dentistry services that include everything from dental veneers to teeth whitening treatments. Dr. Atkins wants each patient to feel confident about their smile and are proud to offer cosmetic dentistry treatments that will help them achieve their goals. Ellis County Family Dentistry can get you on the right path and bring you the brightest and biggest smile possible, whether you need major dental work or just minor cosmetic changes. Many people do not realize that, with time, their teeth can and will change color! Other factors, such as your eating and drinking habits, medication, smoking, and heredity may also play a role. Ellis County Family Dentistry utilizes KoR Whitening, a proprietary teeth whitening system to help bring back that brilliant smile! Straight teeth work wonders for your self-esteem, your health, and for your bite. Ellis County Family Dentistry takes a modern approach to straightening teeth with Invisalign. There are many other options in regards to cosmetic dentistry, including crowns, bridges, and porcelain veneers. Whatever your course of treatment, Dr. Atkins will personally help guide you in finding the right path to enhance your smile! Contact Ellis County Family Dentistry today to find out how we can bring your smile and your confidence back!